The chewing lice that are found on pocket gophers are ideal study animals for studying a variety of biological questions. For interesting studies involving other types of lice see the link to Louse Stories from the home page - here we will concentrate on our particular lice that belong to the genera Thomomydoecus and Geomydoecus. 1. Pocket gophers spend most of their time alone in their burrows. 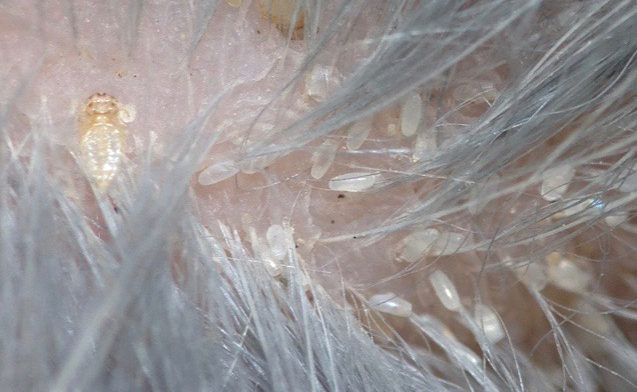 Chewing lice are wingless insects and cannot live for long off of their host. For these reasons, lice have relatively limited opportunities to get on a different host. 2. Chewing lice are highly host specific. 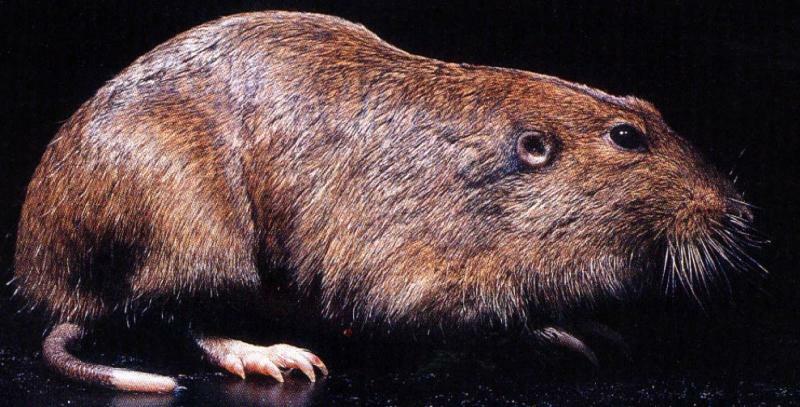 In most cases a specific species of chewing louse is only associated with one genetic group of pocket gophers. Chewing louse clasping a pocket gopher hair from San Acacia, NM. 3. Chewing lice and pocket gophers have become a model system and a “textbook” example of cophylogeny. Cophylogeny results when the evolutionary relationships of two or more ecologically associated organisms (a host and parasite for example) mirror each other. The process of one group forming new species (speciating) in tandem with another group is termed cospeciation. For more details see the Understanding Evolution website by The University of California . 4. 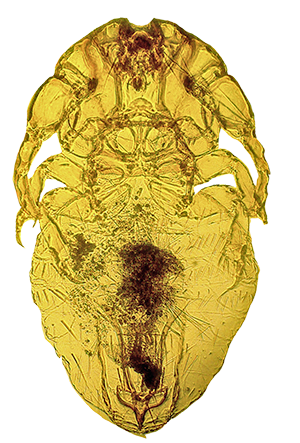 Chewing lice have a generation time of about 28 days so that the San Acacia study is examining the evolution of these chewing lice over a 270 generation time span. That would be 5000-9000 years for a study of humans! A chewing louse (Thomomydoecus) on a pocket gopher. The white objects are chewing louse eggs.